The Fairies Nest - OOAK Cloth Dolls & Fiber Fantasies: ...And here it is!! Well to start I have to show off this little fellow that I just finished. I was so inspired by the fauns some of the other members of the NaturalKids team made that I had to make my own. This is Timothy Tumnus, great, great, great, great grandson of the famous Mr. Tumnous of Narnia legend. I'm so pleased with how he turned out, he's just so sweet. And then I thought you might like to see the results of last week's insane remodeling effort. Do I love the new furniture? Oh Hell Yes!! It is so awesome to have a Queen sized bed that I can hardly believe it...and matching furniture? Incredible. 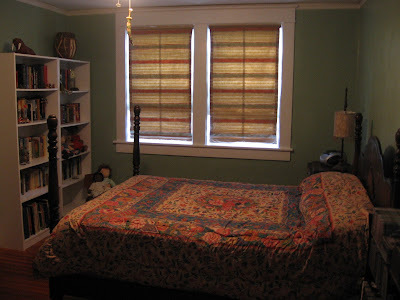 The new guest room is finished, walls painted and furniture moved in. I think it looks pretty inviting! 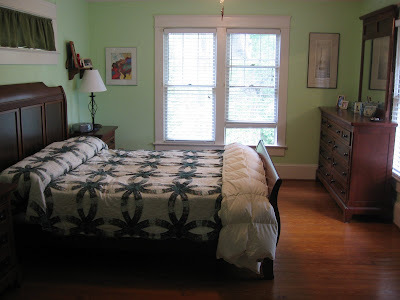 The new furniture looks great, and the guest room looks very inviting - hmmmm! 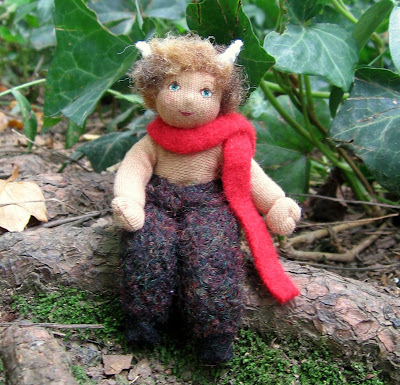 How cute is that little faun? I love the fabric you used for his furry little legs - he's wonderfully wooly! I used some more of that fabulous sweater felt I made! I love that stuff! I love your faun! I want him!! 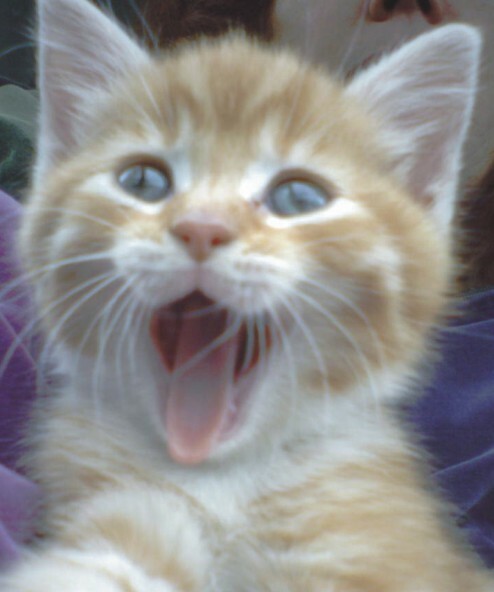 :0) He is adorable! He is the sweetest ever! Your new room is GORGEOUS! When can I move in? I can have the little faun sit on my bed.. Seriously, all kidding aside awesome work all the way around. Again. I see your creative magic works with everything you do, beautiful rooms, and the faun is wonderful! hi cindylou the guest room is great! Attack of the Giant Beetles!! !